Irene Aldrich, a second-generation German-American, lives in Austin, Texas, and is a retired editor and researcher. She graduated from The University of Texas in Austin with an honors degree in English and, after several internships, was hired as an editor for the book publishing division of the State Bar of Texas. She retired early in 1993 to continue freelance editing for major academic and legal publishers and is a current member of the Writers' League of Texas. 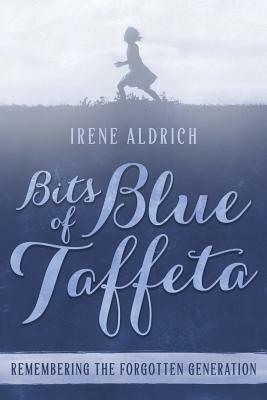 In Bits of Blue Taffeta: Remembering the Forgotten Generation, author Irene Aldrich brings readers a first-person account of growing up during the Great Depression and her experiences during World War II and in the years following. Throughout those tumultuous years, she and many others of her generation were still able to miraculously find joy in the midst of insurmountable obstacles--being exposed to poverty, deprivation, hunger, and discrimination and the horrendous accounts of some of the most heinous crimes against humanity imaginable. Despite these difficulties, however, she also witnessed incredible unity among members of the community and a level of patriotism that became unparalleled in history.